Gorgeous hot pink sunrise. Fifteen minutes later it was white-out. I do love walking home in the snow. I'm so visually stimulated that I don't even feel the cold. 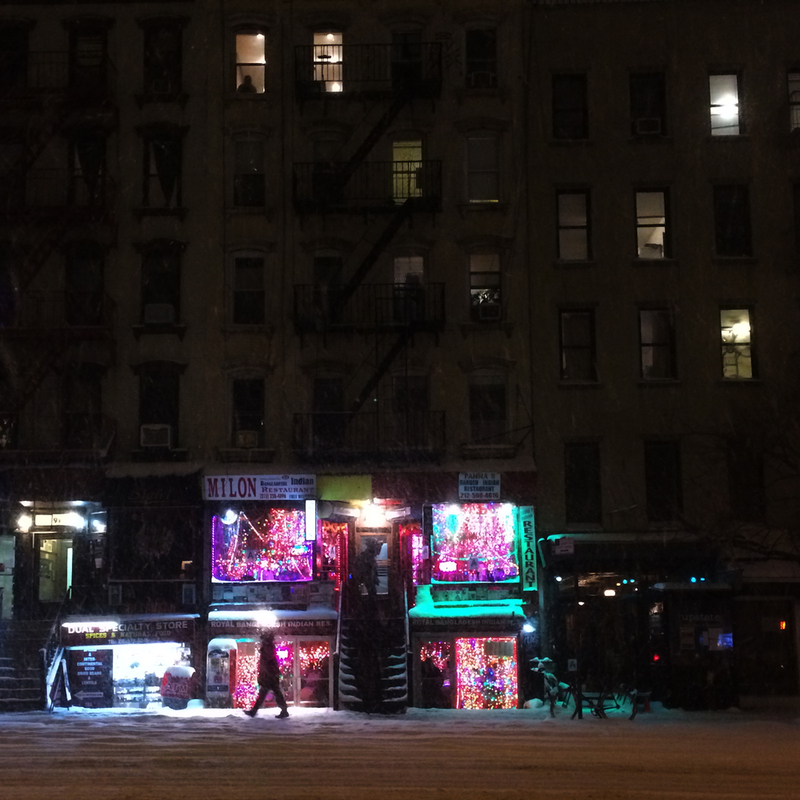 The snow provides a buffer, a layer of quiet over all of the city's hard edges.